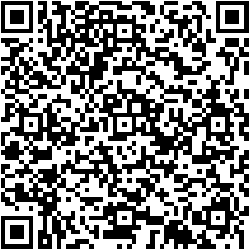 Dentist in Pittsburg, KS | The unassuming QR. Posted January 19, 2011 . It was during a layover at DIA (Denver International Airport) that I first noticed these. I had 3 hours to kill, PLUS a flight delay (go figure–delays at Denver.) I was walking through the terminal when I noticed a display that contained artwork. Having time to kill, I stopped to see the display. As I read the information card, I saw something similar to the image above. Strange, to say the least. The caption instructed me to use my smart phone (what’s that?) to scan it for more information. What a difference several months makes. Since then I have upgraded my “texting” phone (one with an actual keyboard) to a Droid X. First of all, without sounding like an advertisement for Verizon, I absolutely love my Droid. Still don’t know all the features, but that Android Marketplace is so cool! One of the free apps is a bar code scanner. I downloaded it and now whenever I see one of those QR codes (as they are called), I scan it and read the embedded information. Its like magic!! You know you want to, so if you have the scanner on your smart phone, and you have not done so already, go ahead and read what is embedded in my code. Unlike the diVinci Code, this code is not one of multiple layers of hidden meaning, but it still has amazing information.